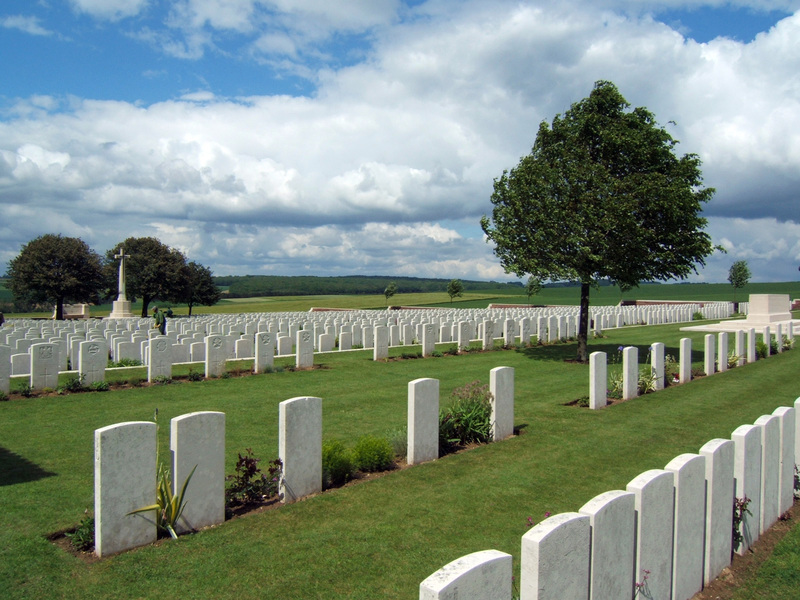 The catastrophic first day of the Battle of the Somme (1st July 1916) is part of the folklore of the Great War. 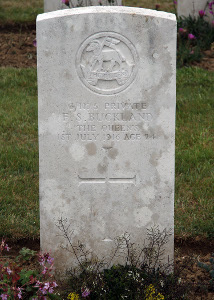 On that single day nearly 20,000 British soldiers died, one being young Frederick Buckland, an assistant gamekeeper from Ranmore Common. Apart from the three Cubitt sons, he is one of the only two soldiers on the St Barnabas War Memorial where we have a photograph to put a face to his name, the picture identified in 2008 by his niece Mrs Muriel Rice. Frederick was a truly local lad. 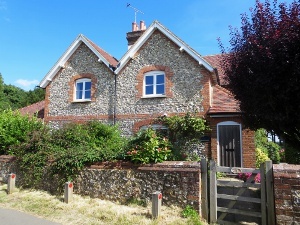 Before he enlisted, he lived his whole life with his parents (stockman James Buckland and his wife Annie Adelaide) at the western end of Ranmore Common, much of the time in Stoney Rock Cottages, and his younger brother James (Jim) lived and worked on the Denbies Estate until his death in 1966 at Dairy Cottages (see Sketch Map for position of these houses). 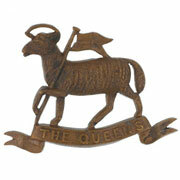 And Jim’s family (including his daughter Muriel Rice) still live in and around Dorking. 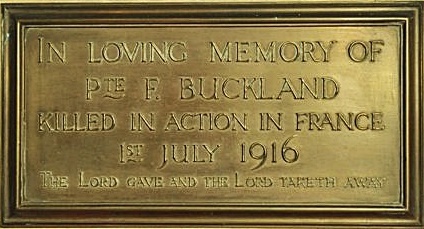 Frederick Sydney Buckland was born on 12th April 1892 and baptised at St Barnabas, Ranmore Common on 1st June. Apart from brother James (b 1897), there was an elder sister Jessie Ethel (1888). 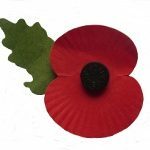 Fred attended St Barnabas School from 26th April 1897 until he “left to go to work” in April 1906. 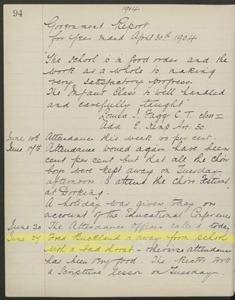 There is only one entry about him in the school logbook: in June 1904 he was away from school with a sore throat. 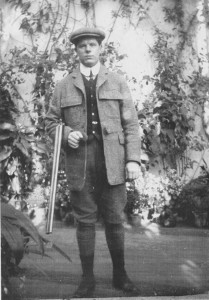 It is not certain what work he first did after leaving school, but by the 1911 census he had been appointed under-gamekeeper at Denbies. Men on the War Memorial who died earlier than Fred seem to have come to the Denbies Estate for work, but he appears to have been the first local casualty. Which may be why he is commemorated on a small plaque on the north wall of the Church, very probably beside the pew where his family sat.